Businesses are the victims of fraud and theft regardless of their sizes. While some small business owners might think that their employees would never commit fraud against them, the Association of Certified Fraud Examiners reports that small businesses that employ fewer than 100 employees account for 30 percent of the cases of fraud that are investigated. The median loss suffered by small businesses is equal to that of large businesses at $150,000. Unlike large companies, small businesses are less able to absorb huge losses and may be devastated when fraud happens. It is important for businesses to understand and to implement strong anti-fraud strategies so that they can protect themselves. Businesses that have strong anti-fraud policies in place encourage workplace cultures that are alerted to fraud and more likely to catch it. Without fraud deterrence techniques, some employees may be tempted to steal inventory or embezzle money if they think that they won’t get caught. Others may steal while believing that they will repay the money but end up never being able to do so. Fraud can be bad for any company, but it is especially problematic for small businesses. Some businesses may be forced to close their doors when they are the victims of fraud, and others may take years to regain business health. The ACFE recommends that businesses implement several strategies to manage the risk of fraud. Business owners should start by establishing strong internal controls and fraud policies. All of the employees should undergo regular training about fraud and its identification. Employees should be encouraged to promptly report any fraud that they witness or that they uncover. The hiring procedures that are used by the company should be reviewed. Employees should undergo thorough background checks before they are hired to the extent that the checks are allowed by law. Participation in ethics and anti-fraud training programs and adherence to the policies should be incorporated into the employees’ performance reviews. Regular audits should be completed in all high-risk areas, including inventory and financial departments. These audits should be a surprise. When fraud is discovered or suspected, businesses should get help from a certified fraud examiner through the ACFE, which is the world’s largest certifying board and membership organization for certified fraud examiners. 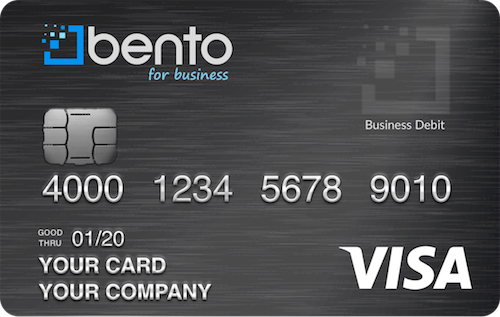 Business owners can help to reduce their risks of fraud by choosing to apply for a business credit card – or a better choice can be a Bento for Business Visa debit card. With a Bento card you can get rid of antiquated petty cash systems and reimbursement forms, which are both frequent targets of employee abuse. You are able to limit how much money an employee can spend with his or her card and control the types of purchases each employee can make. People are not able to withdraw money from the cards, and you are able to see exactly what has been spent and the balances on each card at any time from your dashboard. Bento for Business has a fraud risk calculator that you can use to determine what your business’s risk of becoming a fraud victim is. You should check your own potential risk with this free tool. Bento for Business believes that helping small businesses to prevent fraud is important. 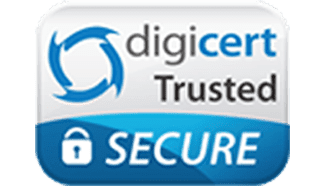 We are dedicated to your security and use 256-bit SSL-encryption technology with our cards. Funds held within Bento are FDIC insured to at least $250,000 through The Bancorp Bank; Member FDIC. We offer a free 60-day trial. Apply for a business Visa debit card and start your free trial today. Call us with any questions at 866.220.8455.